MeteoFax32: The frequently asked questions (F.A.Q.). Use the left menu to browse the faq on MeteoFax32. 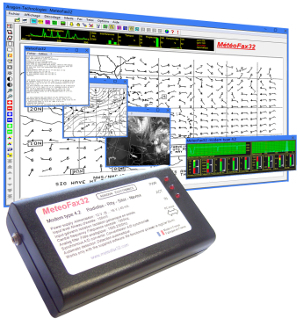 MeteoFax32: Weatherfax decoding Software, weather charts, satellite pictures, telex at sea by ssb radio and pc without internet connection.